Only 15% of businesses track their metrics using technology like dashboards that display key data, a 2015 IOFM study found. What gives? Key Performance Indicators (or KPIs) are the bread and butter of process improvement initiatives — revealing important data about core activities in accounts payable (AP) and propelling your project from concept to reality. The nature of this information is essential, as it pinpoints problem areas and can help guide companies looking to transform their AP department into a best-in-class performer. There’s no definitive market average for this KPI due to the many factors that play a part in this calculation, but you can bet your bottom dollar that this is one metric you should be following. Once you are, make sure to communicate your expectations with employees and allow them to provide input to ensure you’ve set attainable goals. According to a 2015 Ardent Partners study, more than 1 in 6 invoices received by the average business result in an exception. This represents a significant portion of AP staff time spent solving exceptions and clearing the invoice for re-entry into the workflow. In a manual environment, exceptions are yet another obstacle that AP departments must overcome. A lot is involved in the total cost to process an invoice (e.g., copying and follow-up, IT support, staff salaries, etc.). A 2015 PayStream Advisors study found that the average all-inclusive cost for an organization to process a single invoice manually is $40.70. If you don’t know how much you’re paying to process an invoice, you’re most likely paying too much. A 2015 study by Ardent Partners found that the market average for processing a single invoice was 11.4 days. Meanwhile, the very same study found that best-in-class companies (i.e., ones who use automated workflow tools to drive their AP process) took an average of only 3.6 days to process an invoice. Why’s it matter? The longer it takes to process an invoice, the more likely you’re losing money on late payment fees, missed discounts and low staff productivity. Take a close look at the metrics you have gathered and analyze why the numbers are what they are and the consequences it may have on other parts of the process (even beyond AP). 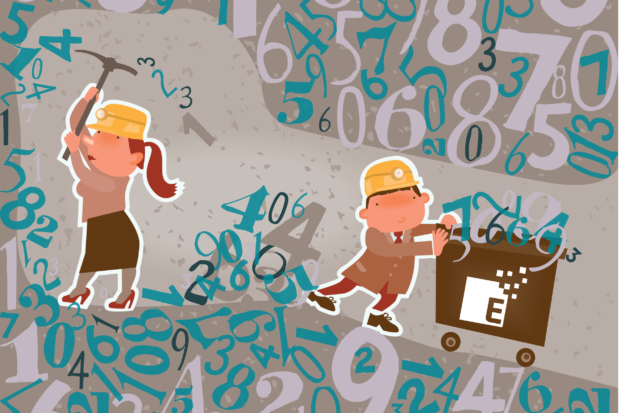 If you spot a continuous problem, dig deeper into surrounding metrics to find out what may be causing it. What’s the plan, Stan?! Having the data at hand is all well and good, but now you need to create an action plan. After analyzing everything, you should have a better idea of what’s causing problems and possible remedies. Ask the team for their thoughts on how to better the process, they can provide insight in areas you aren’t as familiar with. A few months after implementing your plan, make sure to go back and review the latest numbers to see if you’re headed in the right direction. Like any project, you may have to do some fine-tuning before experiencing the results you’re looking for — don’t let it discourage you. Numbers don’t lie. Solid metrics can be leveraged in business cases for process improvement initiatives such as AP automation. With the ultimate goal of running an efficient, well-oiled AP department, KPIs are the transformative tool that can you get your process to that point. 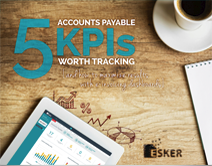 Want more information on important accounts payable KPIs to track? Read our eBook on it here.